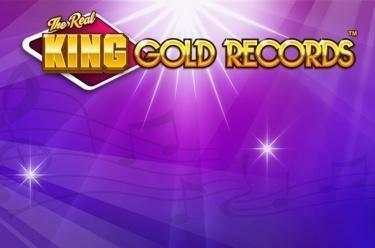 Play The Real King™ Gold Records online for free now! The slot The Real King™ Gold Records is all about Elvis Presley and features 5 reels with up to 10 win lines. You rake it in big time with the gold record because it is Joker as well as Scatter symbol. 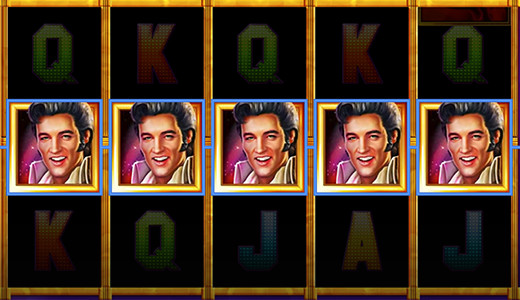 Your aim in The Real King™ Gold Records is to line up 5 identical winning symbols on one of the win lines. These start on the first reel to the left and run across the reel set to the right. Do what Elvis did and collect as many gold records as possible! They boost your winning chances because they're not only Joker symbol but also Scatter symbol. If 3, 4 or 5 records land in any reel position 10 free games with bonus symbol are triggered! As you would expect from a slot that's all about music the jukebox takes centerstage in The Real King™ Gold Records: it selects a bonus symbol before the free games are starting. During free games this special symbol can occupy all positions of the reel it has landed on and therefore increase your winning chances! Well, it's one for the money, two for the show, three to get ready, now go, spin, go! There are persistent rumours going around that The King of Rock ʼnʼ Roll, Elvis Presley, is still alive, hiding somewhere. We can now confirm: it's true! He's chilling in The Real King™ Gold Records and rocks the reels! Let yourself get carried away by his tunes and let Twists dance across the reels!